The Mining and Energy Planning Unit (Upme) published the Indicative Propane Supply Plan for Colombia. Here are the details. The Port Society of Puerto Bahia (SPPB) has ambitious plans in the country. The company made an interesting proposal to Ecopetrol (NYSE: EC) to connect Puerto Bahia with Reficar. Colombia’s Axia Energía opened its new Termonorte thermoelectric plant in Santa Marta; the first of its kind in the department of Magdalena. Cundinamarca’s Administrative Court admitted a lawsuitthat seeks to annul the Pacific Regasification Plant project. The proposal to build a new regasification plant in the Colombian Pacific has generated much controversy and opinion on the suitability of this project for the country. A new chapter in this controversy is beginning. The increase in oil prices in recent months can generate several benefits in financial terms for the country. However, public finances will not be the only beneficiaries of this new price environment, as some believe it could boost several key infrastructure projects for the Colombian oil sector, such as the Bicentenario pipeline expansion. The decline of natural gas fields in the Catatumbo region, which supplies this fuel to Cúcuta and its surroundings, worries authorities. This project could save gas service in the area. Pacific regasification plant: yes or no? There are divided opinions around the Pacific regasification plant, as the government and gas Associations seem to be on different pages when it comes to this issue. 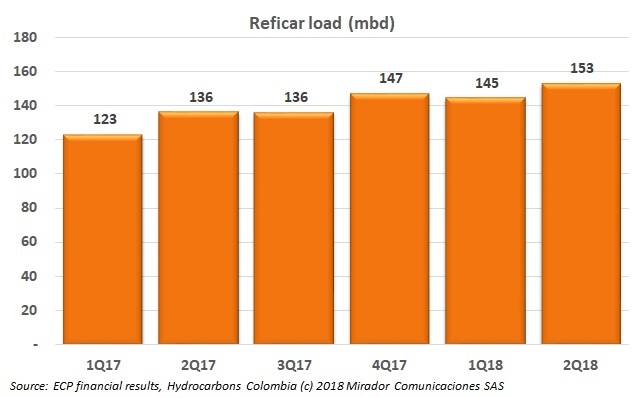 The construction of Reficar generated many debates in the country, but this facility has demonstrated its relevance for Colombia in a short time. Ecopetrol (NYSE: EC) is analyzing investment alternatives in Reficar. With seven new infrastructure projects, the Ministry of Mines and Energy (MinMinas) looks to strengthen the reliability of natural gas supply in Colombia.